OakWing Golf Club should be added to your "Must Play" list of golf courses. Centrally located in Alexandria, Louisiana, OakWing possesses a character all it's own as it blends the natural beauty of Louisiana bayous, lakes and towering tree-lined fairways with the challenge of rolling hills and undulating greens. OakWing was designed by Jim Lipe and is truly a course for all skill levels. We are very proud of OakWing Golf Club, the State of Louisiana and England Airpark for building a first class golf course and improving the economy of central Louisiana. We are open to the Public and conveniently located in Alexandria, La just 1 mile off I-49. Come visit us soon. Designed by Jim Lipe, OakWing Golf Club is truly a course for all skill levels. Mr. Lipe has established himself as a premier golf course architect by having served as a Senior Design Associate with the Jack Nicklaus design group for over fifteen years, serving as lead designer of the highly acclaimed courses such as Colleton River, Great Waters and Pinehurst National. Please call 318-561-0260 for current rates. 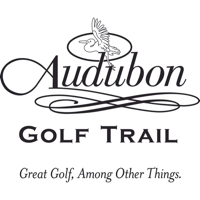 Call 318-561-0260 for rates and tee times. Contact Oakwing Golf Club at 318-561-0260 for more information and details on holding a golf outing at the course. Contact Oakwing Golf Club at 318-561-0260. Contact Oakwing Golf Club at 318-561-0260 for onsite or nearby dining options. This profile was last updated on 01/04/2017 and has been viewed 6,500 times.